Is your software up to date? Go to Settings -> About to check which version of the program you are using. Update regularly to have access to newest features and improvements. Simply plug your device into the computer and click one button to automatically determine the right preset. Remove several segments from anywhere in a video file with utmost accuracy – down to a single frame. Sound level evaluation and recommended normalizing adjustments. Reduce visual noise in “grainy” videos and do away with random audio noises. More than 20 new audio and video codecs. Presets for 25+ new devices from Apple, Samsung, LG, Sony, Xiaomi, Huawei, and more. Stylish interface with a new, distinctive look. Better video stabilization due to an improved algorithm. Subtitles can be synced with video & audio and positioned vertically. Updated support for the AAC codec – now with multichannel sound. Up to 4.2x faster conversion when using the H.264 codec for OS X 10.8 and later versions. Faster conversion for VP8 and VP9 codecs – up to 3.5 times. Support for new formats and codecs: Opus, APNG, and more. New presets for the latest smartphones: iPhone 6s and 6s Plus, Samsung Galaxy S6, S6 Edge, and Grand Prime, Google Nexus 6, HTC One (M9), Sony Xperia Z3 and Z3 Compact, Motorola Moto G and Moto X, LG G4 and G Flex 2; also for Nook Tablet. Ready-made presets help you prepare your video for editing with popular Mac video editing programs: iMovie, Final Cut Pro, Final Cut Pro X, and iDVD. Automatic conversion of all files in a specified folder to a chosen format using the Watch Folder feature. Video stabilization helps eliminate the negative effects of camera shake that often appear in amateur footage. Two-pass encoding. Choose this option to get output files with optimal size-to-quality balance. Grab screenshots from video and save them in popular image formats. Optimization for multi-core processors has been improved to increase video processing speed even further – the additional performance gain is up to 20%. Minor improvements in functionality and user interface. Now there are even more ways to modify your video clips. Crop or flip video, enhance with auto filters, add text and image watermarks. Need to increase or decrease the sound level in your movie? Just set the desired volume before starting the conversion. Take advantage of the new volume normalization feature to fix big volume changes, e.g. quiet voices and loud music. Great news: you can adjust the volume without re-encoding the video track in SuperSpeed mode – the process will be almost instantaneous, and the image quality won’t be affected! When converting videos with multiple audio tracks in previous versions of the program, you could only save one track. Now you can save (almost) as many as you want! The program supports the transfer of up to 16 tracks (depending on the destination format). This feature is also compatible with SuperSpeed mode, so you can transfer audio tracks without re-encoding the video stream. Now you can convert not only video and audio, but also image files! The program supports GIF, JPEG, BMP, TIFF, PNG, and other formats Check the list of supported image formats. You can also transform still images into 5-second video clips. Images can be joined to each other as well as to video fragments. Social networks are overflowing with shared GIF animations. Want to create your own? Just add your video clip to Movavi Video Converter, choose the ready-made GIF preset at the desired image size, and hit “Convert”. Now you can not only save 4K Ultra HD videos at a lower resolution, but also convert them to other formats while still preserving the 4K resolution. Conversion to M4A audio format with AAC and ALAC codecs is now supported. For WebM video format, more codecs are supported, too: VP7 and VP9 for reading and VP9 for writing. See the complete list of supported formats and codecs. If you have a website or blog where you often upload video, you’re probably acquainted with the HTML5 standard. However, you need to save your video in three different formats before uploading it to a web server, because each browser requires a particular video format under HTML5. To make your life easier, we’ve added a new HTML5 Video preset group with ready-made presets for MP4 (H.264), OGV, and WebM formats. When you watch low-resolution videos on a big screen, image quality often seems poor because hardware resizing usually involves the use of algorithms not optimal for the environment. 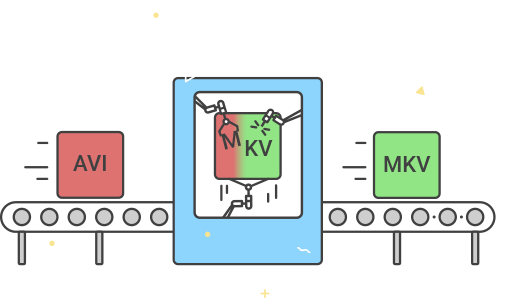 In the new Movavi Video Converter, we’ve added special presets for upscaling video in which the optimal resizing algorithm is automatically chosen for the task. This means the final image quality can only be better, and you will be able to enjoy your videos on any screen size. 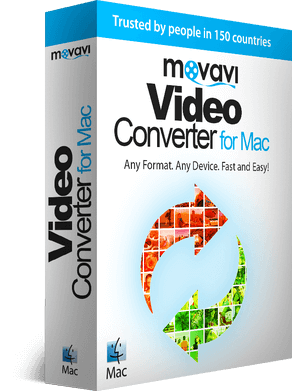 Movavi Video Converter can be minimized during conversion. Since this reduces the CPU load, you can continue working on your computer as usual. If you need to complete a resource-heavy task, you can pause the conversion and resume it later when your task is finished. Meta information about video and audio files (date of shooting, artists, etc.) is now automatically transferred to the converted files. You can also choose encoding for any subtitles you add – this is because problems can sometimes arise if you add subtitles with encoding that is different from the system encoding.